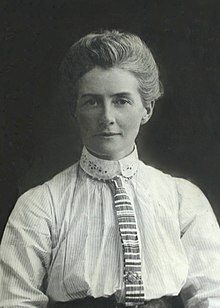 Edith Louisa Cavell was born on the 4th December 1865 and live at The Vicarage in Swardeston, Norfolk, England. Her mother and father were Louisa and Frederick Cavell. She had two younger sisters, Florence (born 1868) and Mary (born 1871) and a brother, John (born 1873). Edith worked as a governess in Belgium, but returned to Swardeston to nurse her sick father. This may have been the catalyst for her to become a nurse and she trained at the Royal London Hospital in Whitechapel, London. 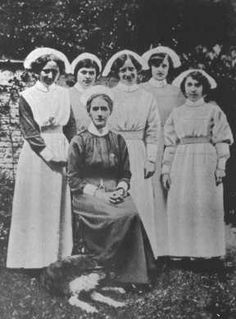 Edith returned to Bussels in 1907, initially to nurse a sick child and went on to become Matron of the first Nursing School in Belgium. In 1914 Edith was in Norfolk visiting her widowed mother when the First World War broke out. When she returned to Brussels she found her clinic and nursing school had been taken over by the Red Cross. After the German occupation of Brussels in November 1914, Edith Cavell helped to hide British, French and Belgian soldiers from the Germans and get them to the Netherlands with false papers. The Germans authorities became suspicious and on the 3rd August 1915 after being betrayed by Gaston Quien, Edith was arrested and charged with ‘harbouring Allied soldiers’. She was held in Saint-Gilles prison for ten weeks. Whilst in custody she was questioned in French, but the session was recorded in German., which may have given the questioner an opportunity to misinterpret her answers, although she admitted that her house had been a shelter for British, French and Belgians, helping them to reach the safety of the Netherlands and make no effort to defend herself. At 7.00 a.m. on the 12th October 1915 Edith Cavell and four Belgian men were executed by firing squad at the Tir national shooting range in Schaerbeek. It was a pity that Miss Cavell had to be executed, but it was necessary. She was judged justly...It is undoubtedly a terrible thing that the woman has been executed; but consider what would happen to a State, particularly in war, if it left crimes aimed at the safety of its armies to go unpunished because committed by women. 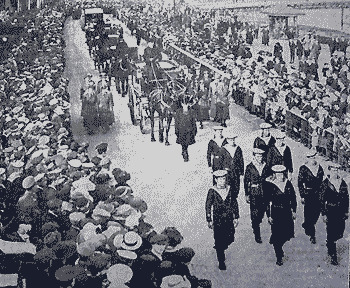 After the war Edith's body was brought back to England and on the 19th May, 1919, she was re-buried at Norwich Cathedral.